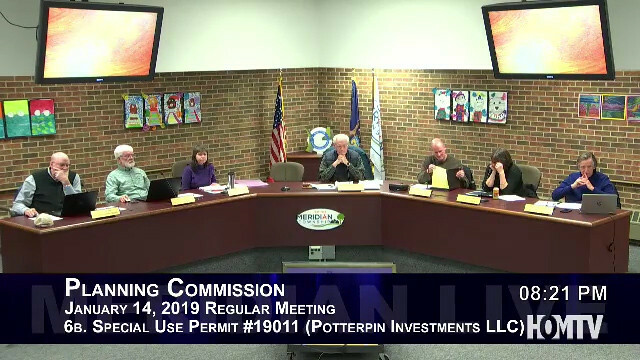 MERIDIAN TOWNSHIP - On January 14, the Planning Commission held a public hearing for a special use permit from Potterpin Investments LLC to replace a drain structure in the floodplain of the foster drain located at 4977 Cornell Road. The overall scope of the project is to work in the floodplain to remove an existing culvert and install a new replacement culvert in the vicinity to allow for the construction of a driveway across the Foster County Drain to access a proposed single family house. The applicant Chris Potterpin spoke to the Commission about the structure. "We would like to build our house on the back part of the property. We just had our first daughter this year and would like to raise her on the farm and so we're asking for your permission for the draining crossing. I think we've done a good job at designing to comply with MDEQ, township requirements, and drain commission as well," said Potterpin. After further discussion the commission voted unanimously to approve the special use permit to replace the drain structure.